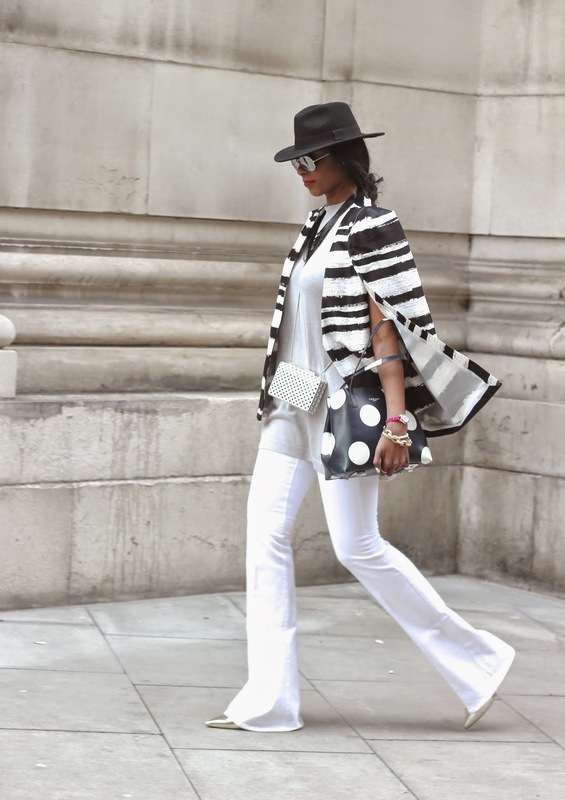 On the first day of LFW I opted for a full on 70's look combined with modern day monochrome. I absolutely love this Lavish Alice cape....it seriously is a show stopper. Also the perfect piece for spring too! Styled with this split side sleeveless sweater and these uhhh-mazing super long kick flare jeans from Frame, Karlie Kloss collection. For all my fellow tall readers these jeans are a 40" leg and have a four way stretch meaning they are so comfortable it's unreal. These I had shipped from the US and boy were they worth it. I'm already planning the many ways I will be styling them for Summer... so get ready to see more of them! 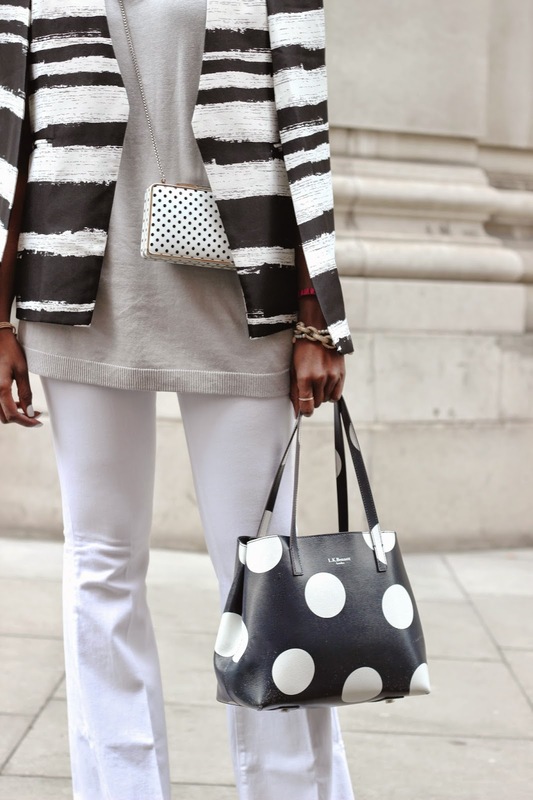 Being a lover of clashing prints, of course I styled this cape with micro and super sized spot bags from LK Bennett, creating a very fun yet chic look! beautiful combo. Will never get old. You look fabulous as always! I've always been curious about Frame denim. Those jeans look like they were made for you! Going to check out the Frame website right now. Lavish alice have some amazing capes right now. Those jeans are awesome, think I need then even if I do have to pay shipping from the U.S. I've fallen in love with MiH's Marrakesh jeans, as they are also very stretchy and long.